Affordable smock to fight everyday challenges! A very unique clothing design straight out of Romanian military stockpiles. Easy to wear around the house or shop, and protects the layers underneath from dirt or other grime during chores. A simple, no-hassle Shirt for outdoor adventures, too. 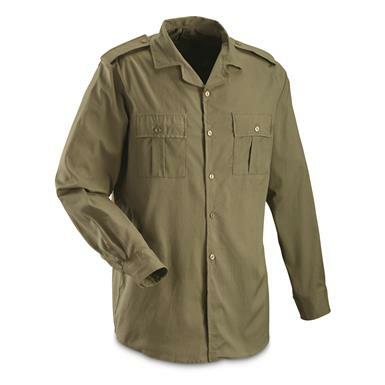 You get 3 brand-new Shirts for 1 super-low surplus price!